Situated in the Balearic Sea, Mallorca is a picture perfect island that captures the best of the Mediterranean. It has it all—temperate sunny year-round weather, breathtaking scenery consisting of craggy cliffs, dramatic coastlines, medieval towns, tony yacht marinas and white sand beaches, as well as a historic old center city. It’s easy to spend a week here and not see the same thing twice. As the largest island in Spain, Mallorca is best explored by car to create your own adventure! Start your trip in Palma, the island’s capital city with a unique historic city center. The charming and picturesque medieval Old Town is filled with a variety of unique clothing boutiques, art galleries, and world-class restaurants located in historic buildings that line the narrow streets. To get your retail therapy on, stroll along The Borne, aka the Golden Mile, which houses many international luxury brands. The most iconic site is the stately Gothic Roman Catholic Seu Cathedral that proudly sits at the promontory overlooking the ocean and is beautifully lit at night. Explore Calle Apuntadores where you can find the hub of Palma’s buzzing nightlife with plenty of bars, restaurants, salsa clubs, and live music venues to keep you entertained. With over 262 white sandy beaches around Mallorca, you can find your own slice of paradise among white sand and turquoise waters. 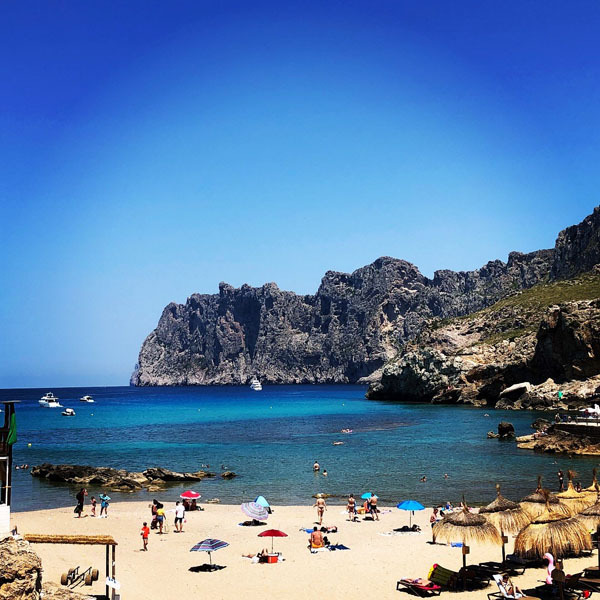 Drive along the Serra de Tramuntana mountain range, a UNESCO World Heritage Site, toward Formentor–ending in the Northern tip of Cap de Formentor. This drive offers some of the island’s most beautiful and dramatic scenery, with a coastline of cliffs that drop into a sapphire sea. 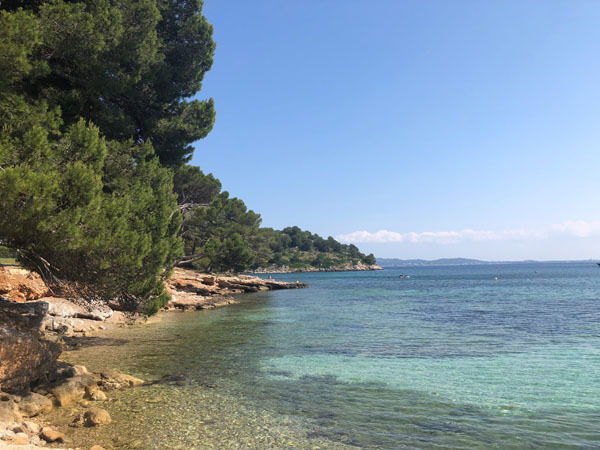 Over here you can visit the Port Town of Pollensa, or discover the quiet beaches of Formentor with shallow emerald coves and beaches shaded by pine trees. The largest stretch of unspoiled beach on the island is along the Southern coast of Es Trenc between Sant Jordi and Ses Covetes. The beaches are characterized by fine white sand and placid warm turquoise water. 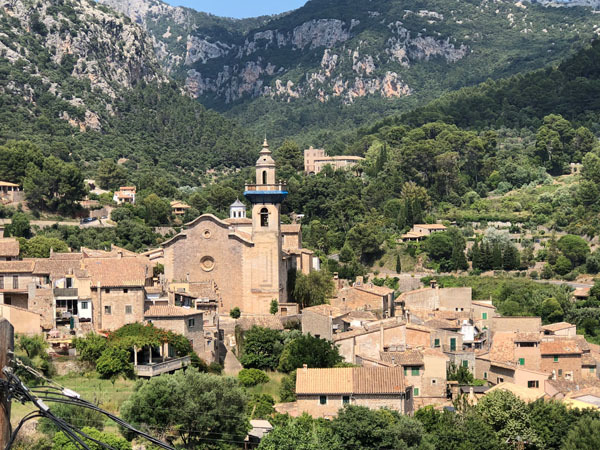 Explore the medieval town of Valldemossa, a village steeped in picturesque old-world charm, located in an idyllic valley in the Tramuntana mountain range. Feeling like you are in Sicily, this town is characterized by ancient ochre stone buildings that contrast with the green forests of olive, oak and almond trees rising in the vivid blue sky. With a population of only 2,000 people, the beauty of this village is magnified by its solitude, as if time stood still. Spend the day wandering the narrow cobblestone streets that are sprinkled with art galleries, shops, and cafes. Visit the Real Cartuja, the Carthusian Monastery where Chopin stayed. Discover the yachting culture of the island. Located in the southwest is the tony yachting community of Port Andratx, which is still a working fishing port, lined with small boutiques, cafes, bars, and restaurants. This is one of the best spots on the island to capture the gorgeous Balearic sunset. Port Portals is often compared to Port Banas in Marbella and is considered to be one of the most glamorous spots where people come to see and be seen. Large gleaming superyachts are docked in the marina, and it’s not uncommon to spot celebrities, moguls, and other A-listers shopping at the designer boutiques and dining at the restaurants and hotspots along the marina. Stay in the heart of glamour at the OD Port Portals that combines resort luxury with the convenience of a city hotel. 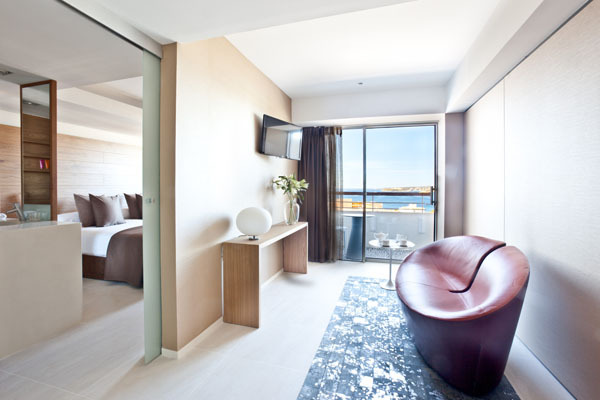 Contemporary art adorns this fashion-forward hotel that overlooks posh Port Portals marina. The modern aesthetic was fashioned by the architect Victor Rahola Vidal and interior designer Mayte Matutes who created the sleek architecture and refined interiors with beautiful contemporary furnishings and vibrant textiles. 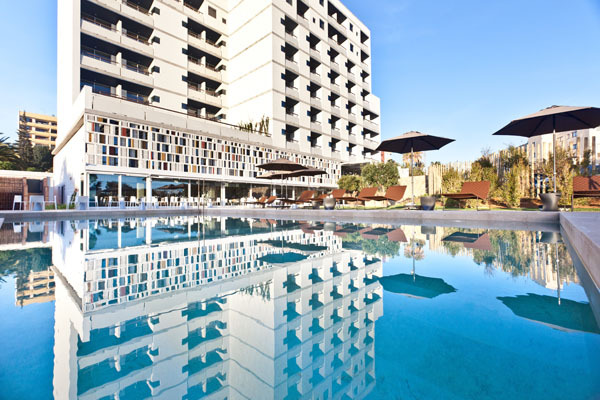 Its contemporary design infuses Majorcan influences with state-of-the-art technology, and luxurious appointments. Guests can enjoy the beautiful pool area, as well as a leisurely breakfast that is served until noon, and striking public areas. Live large and book one of their Junior Suites that comes with a separate living room, private balcony, airport transfers, and a smart cabriolet to explore the island. 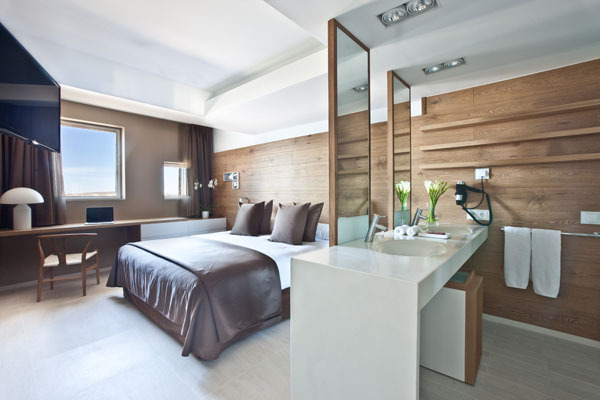 Or enjoy one of the 77 dazzling guest rooms that are a perfect base to enjoy the attractions of Mallorca. Sporting one of the hottest rooftop lounges and restaurants in Mallorca is the Sky Bar that offers panoramic views of Port Portals marina, the mountains, and the bay of Palma. The alfresco restaurant, On Top, serves an East meets West Asian and Mediterranean influenced menu with health conscious choices that use seasonal ingredients. This is a perfect spot to enjoy the sunset with a glass of champagne. The open air Sky Bar rocks every weekend with internationally renowned DJs who fly in to throw their weekly parties that attract the beautiful crowd of Mallorca.